Creating fresh award-winning meals and delivering outstanding service, dnata catering is Australia’s largest inflight catering company. With a geographically diverse footprint, the company employs over 3,000 people across 11 cities, produces over 25 million meals and services over 250 thousand flights each year. Offering a suite of services, dnata catering is more than an inflight caterer, managing buy-on-board catering programs, providing inflight retail solutions and operating airport lounges. 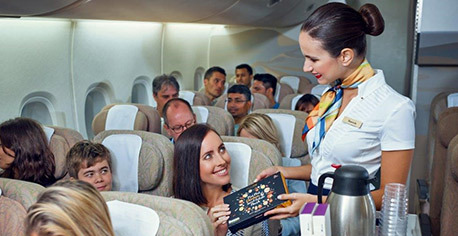 Parent company dnata - part of the Emirates Group – is one of the world’s largest air services providers. Established in 1959, the company ensures the aviation industry operates smoothly and efficiently in 127 airports. Offering ground handling, cargo, travel, and inflight catering services in 85 countries across six continents, dnata is a trusted partner for over 300 airline customers around the world. Each day, the company handles over 1,800 flights, carries over 8,450 tonnes of cargo, assists over 243,000 passengers, books over 21,000 hotel stays and uplifts over 320,000 meals. We are currently seeking a motivated and passionate WHS Specialist to join our DC team at the Perth Airport. Reporting to the WHS Manager, this role will target best practice levels of safety and legislative compliance in an environment of continuous improvement. Supporting WHS Policies and Procedures to ensure the health and safety of all employees, contractors and visitors. Encouraging and ensuring the prompt reporting of hazards and incidents. Providing ongoing advise to managers and staff of WHS responsibilities and accountabilities. Undertaking hazard identification, inspections, Job Safety Analyses and other audits to protect employees from any foreseeable risk. Keep up to date with industry best practice and recommend prevention strategies to mitigate workplace injuries and incidents. Supporting and participate in incident and emergency response. Monitoring compliance with workplace policies and procedures including by contractors. Assisting in addressing actions identified in audits and other non-conformances identified internally or by third parties. If you are interested in this role and meet the selection criteria, we would like to hear from you! Please submit your application as soon as possible.